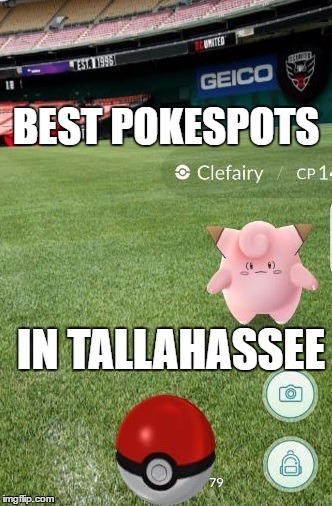 I grabbed much of this information from the subreddit "/r/TallahasseePokemonGO"
One of the best sites in town. There are three poke-stops that can be lured at the same time, and you can be in range of all three! The hot spots seems to be around the playground. There's recording sightings of: . Cascades is reported to have some rarer pokemon. Try hunting around the lake. Usually you can get in the middle of a few lures and grab quite a few. In the parking lot between Doak, the practice field, and the baseball there are at least three lures that let you collect multiple pokemon without having to move. Magmar infrequently spawns in the area near the Stadium, which has many pokemon stops on its perimeter. The Morcom Aquatic center, associated with the university, has a parking lot that very frequently spawns Onyx. Gym and 3 pokestops not close enough to get all from the same spot but within shaded short walks. 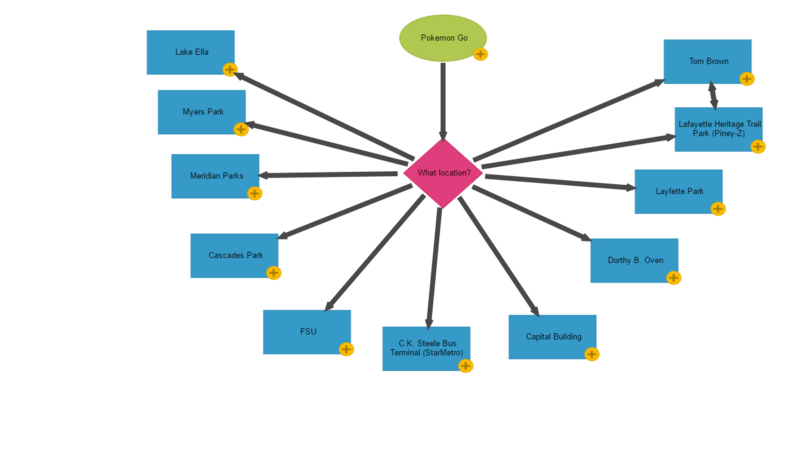 Trails lead in both directions along the lake and have pokestops on them. Bikeable to/from Tom Brown. Diglett is commonly found there.